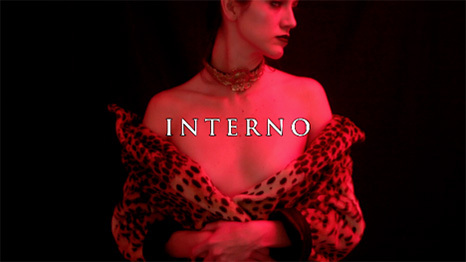 Meditative and hallucinatory, Interno is a reflection on infinitesimal fragments of solitude. Blurring and ephemeral, the film’s sense of isolation volatilizes the corporeal and creates a subliminal presence that reveals itself through a hypnotic and uncanny pace. The mind’s eyes are watching the mind itself, while the internos steadily oscillate back and forth, as in a game of shifting vantage points. The film features NATHALIA ACEVEDO, star of Carlos Reygadas’ Post Tenebras Lux, awarded with the Best Director Prize at the 65th Cannes Film Festival in May 2012. While being shot on the eve of her début at Cannes Film Festival, the intention of this filmic exercise was aimed at provoking in her an uncomfortable state through the artifices of make-up and costumes. Acting out a sense of withdrawal from the real, typical of transitional phases in life, Interno provides an ambiguous encounter between interior and exterior domains. 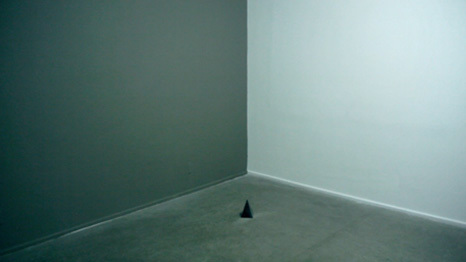 The film was shot by Guillermo Garza on location in Mexico City including Galeria OMR, featuring interactive installation pieces by Mexican-Canadian artist Rafael Lozano-Hemmer.